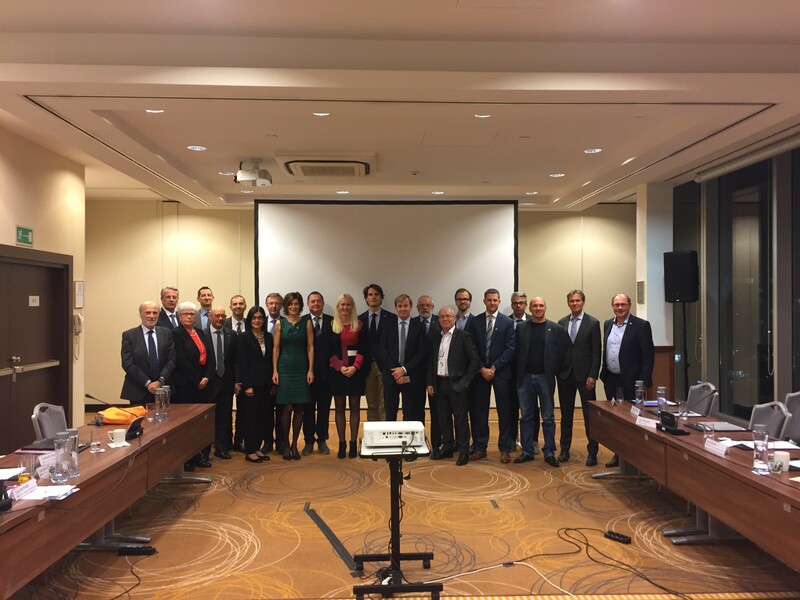 On October 25-26, CEPI held a series of meetings in Warsaw, Poland, hosted by its Polish members PREF and PFSZN. The two-day meeting session, held in parallel with the XXIII PREF Congress, included meetings of the CEPI Professional Divisions (PD) CEAB and PAC, respectively for property managers and for estate agents on topics such as energy, data protection and anti-money laundering, as well as meetings of CEPI Permanent Technical Committees (PTC) on policy, education and communication. The PD and PTC meetings were followed by a meeting of the CEPI Board of Directors and General Meeting of the association which discussed a number of topical issues. Also, on October 25, CEAB organised a seminar for property managers open to all real estate professionals who were interested in knowing more about energy management including case studies on energy efficiency, and the role of property managers in making energy savings. The closing event of the PREF XXIII Congress was a gala dinner on Friday evening attended by CEPI members at the kind invitation of PREF.